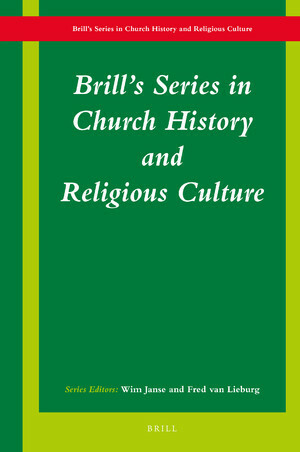 This is the online e-book collection of Brill’s Series in Church History and Religious Culture (BSCH), containing all volumes, from the first volume in 1970 onwards. Editors: Wim Janse and Fred van Lieburg. Based on a broad understanding of religious traditions, such as Judaism, Christianity, and Islam, and their interconnections, the series focuses on the history of religious experiences, values, and ideas –of groups as well as influential individuals- in their intellectual, social, and political settings. The series emphasizes the interregional, transconfessional, and comparative dimensions of religion in its expression, mediation, consumption, and institutionalization. It contains monographs, source editions, collections of articles, and conference proceedings. The collection also contains the predecessor of BSCH, the Kerkhistorische Bijdragen (vols. 1-21), which was never published in electronic format. Part of this series was a subseries with text editions of documents by prominent Anabaptists, Documenta Anabaptistica Neerlandica.